My head is full, but full of lists and need-to-dos and must-dos and should-dos. The lists squeeze the stories into a tiny room with little light and a window that seems to be painted shut. The stories bang on the door every now and then, demanding attention. I appease them with tea and cookies. I’m hoping I can appease you with the same. These cookies have been percolating in my head every since they were suggested by Jackie B over on this post as something she wished weren’t so naughty. 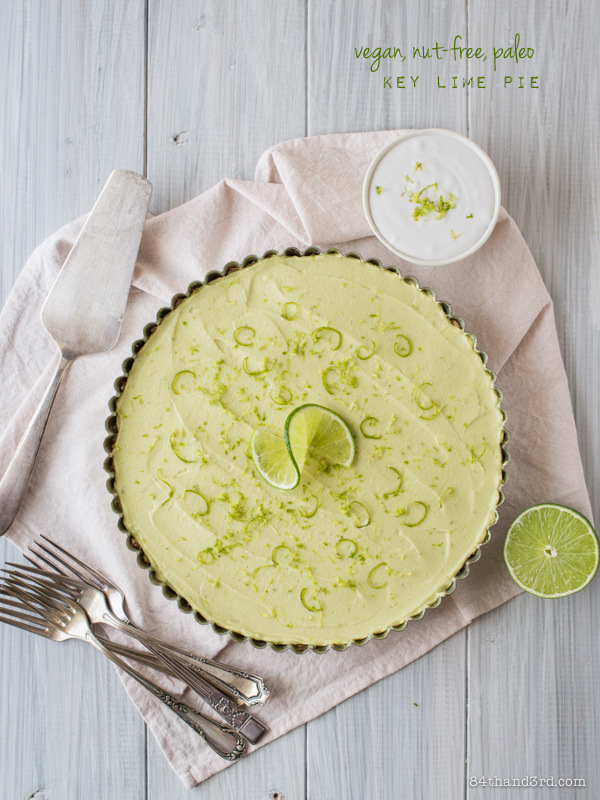 I’m not getting into the ‘no food is naughty’ discussion, there is no room in my head for that one either right now, but let just say I’ve once again done a recipe flip on a classic. Some how, even when my head is full of lists, there is always room for recipes. And for a moment that painted window was cracked open, a scent of spiced cookies wafting in on the breeze. Cookies are such a happy food, these tender, cinnamon spiced rounds of brilliance make me very, very happy. Whip coconut oil with an electric hand beater for a minute or two until fluffy, beat in rice syrup followed by the egg. Scrape down sides of the bowl. Sift over dry ingredients – spelt through salt – and stir to combine well. The dough will be quite soft and sticky. 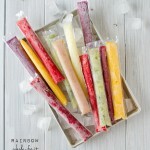 Refrigerate mixture for 20 minutes while you preheat the oven to 180F (350C). Line two baking trays with baking (parchment) paper. Combine sugar and spices in a small dish. Roll chilled dough into gumball sized balls then roll in cinnamon sugar. Arrange on lined trays, leaving plenty of room for spreading. Cookies will puff while baking then collapse as they cool. Rapadura and Coconut Sugar can have quite large granules, I grind it down with a mortar and pestle so it is more even. 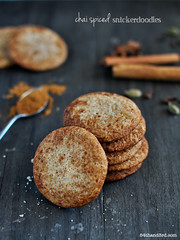 Cream of tartar is a key ingredient to Snickerdoodles – leave it out and you’re left with cinnamon coated sugar cookies. Yes, really. I must admit that when Sophie chose Cookies for her Sweet Adventures Blog Hop theme I was ridiculously excited. I adore cookies nearly as much as cake and pie and brunch, which says a lot. 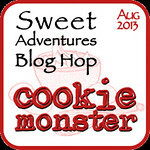 And as such, this post is part of the August Sweet Adventures Blog Hop – Cookie Monster – from guest hostess Sophie of The Sticky and Sweet. SABH is a monthly blog hop brought to you by by JJ – 84th & 3rd and guest hostesses. Make sure to check out all the other creations that have been linked-up below! SNICKERDOODLES!! An excellent choice for the Cookie Monster theme. I love snickerdoodles! I love their cinnamon taste of course! And I love the make over you’ve given them…well done! As an Aussie who only read about snickerdoodles in books, their name alone was enough to make me snicker. lol. Will definitely have to give these a whirl – maybe they’ll be the next American craze to set hold in Oz! Oh I love snickerdoodles and the Chai twist would be awesome! 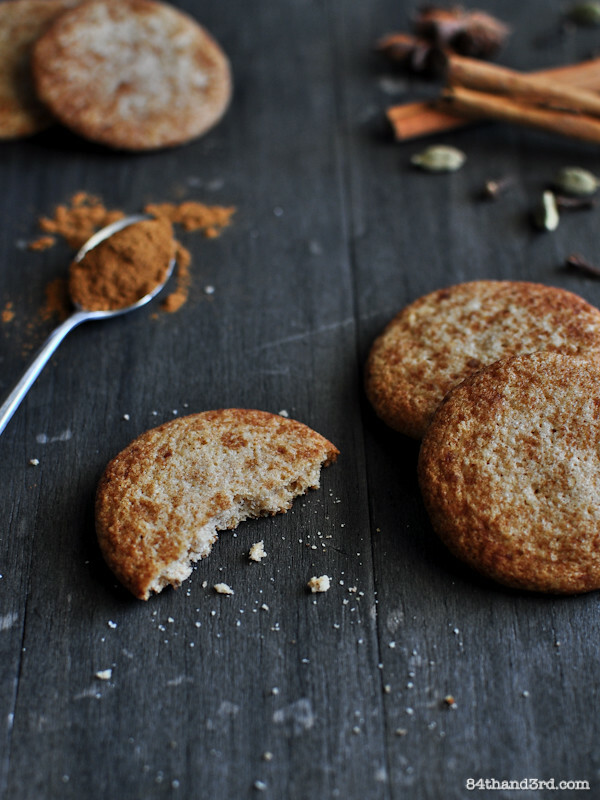 These look fantastic – all those beautiful chai spices wrapped around a buttery little cookie. Gorgeous. Snickerdoodles are one of my favorites, these are wonderful with the chai spices! Oh yum! 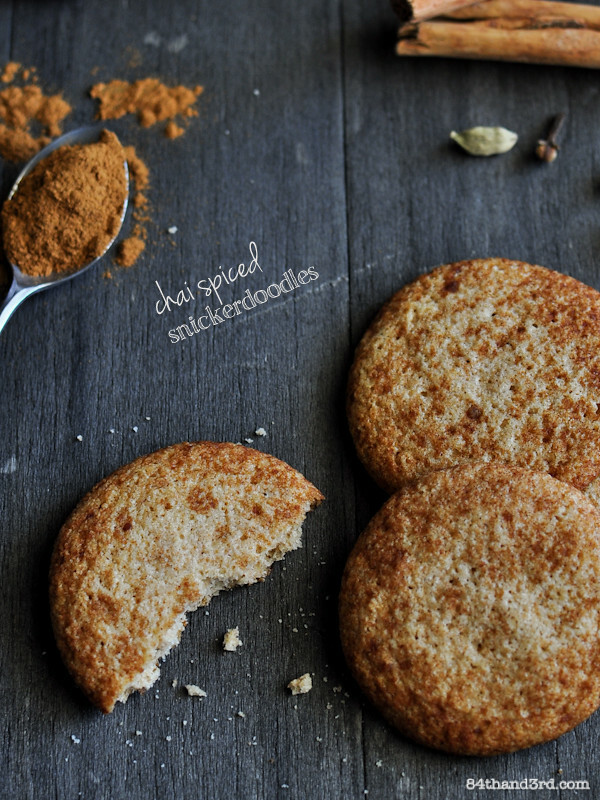 I love chai-flavoured anything and these snickerdoodles look amazing! such lovely images! 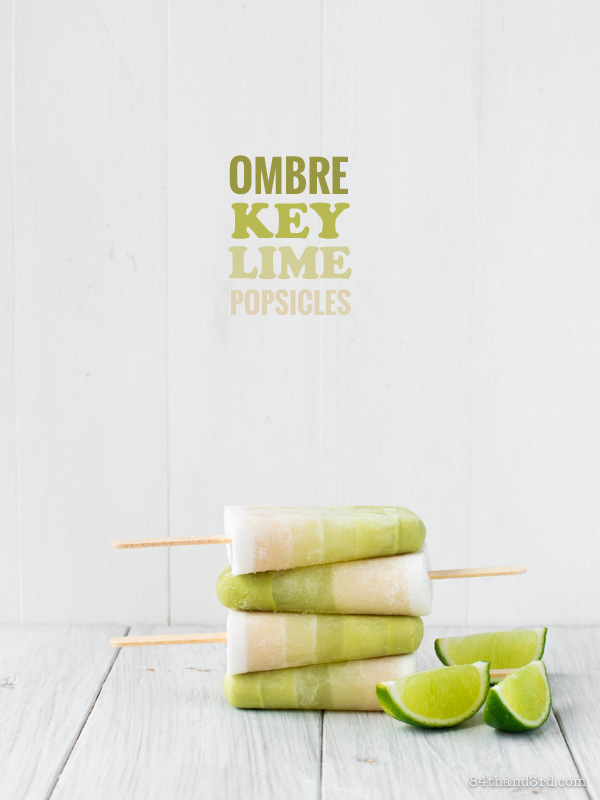 I’m keen to give these a whirl, where do I find rice syrup? I have been loving using rice syrup in my recipes lately and this is just another great one to try! 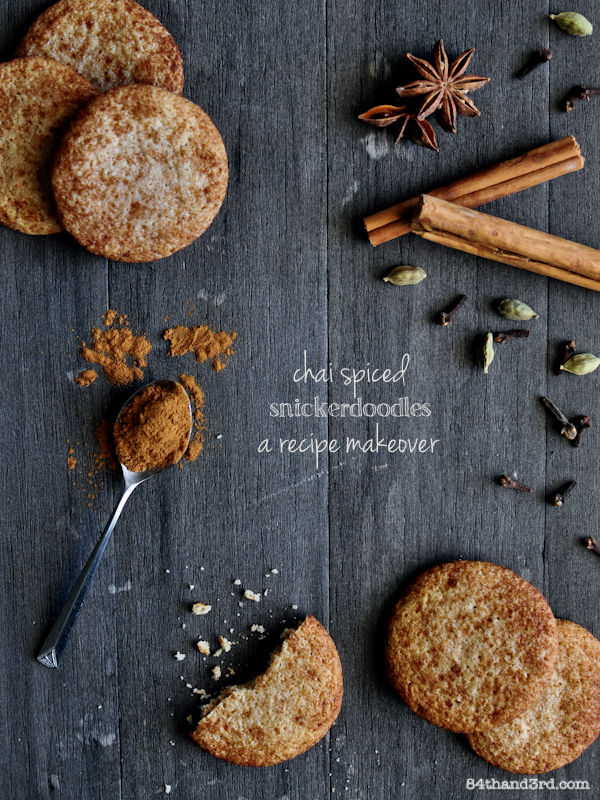 Chai is amazing so I can only imagine in snickerdoodle form it is out of this world! Wow! These look simply amazing JJ! I love the recipe.. Saving this for a future Paleo version. Your pictures are beautiful too! Your snickerdoodles would make me very happy indeed! I could eat these by the dozen and probably would telling my self that why not they are so healthy and they are , of course. You are very clever with your ingredients and I will have to start using some of your sugar substitutes. Oh how I love snickerdoodles. Actually I even love saying snickerdoodles! Love that you JJ’d them! I’ve only been exposed to the snickerdoodle flavour in the states. I haven’t seen it all that much around here! Beautiful JJ! And now I’m happy because you’re happy, and I’m now I don’t have to be naughty! Great make over! Love it! i love everything chai flavoured, bookmarked! thx! 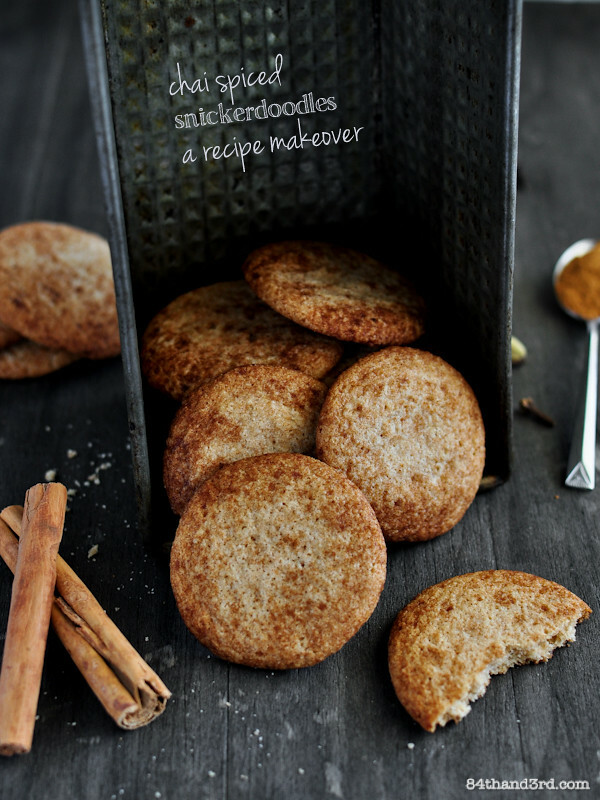 I don’t think I have every tried an original snickerdoodle, your alternatives look pretty tasty! They sound really great and are also very good looking. I hope you manage with your full head. Delicious! I love anything with spice. I will make a batch of these to put in the school lunchbox (at least I will try to not eat them all and a few may actually make it to the lunchbox). I’ve never even had a snickerdoodle! What is my life? 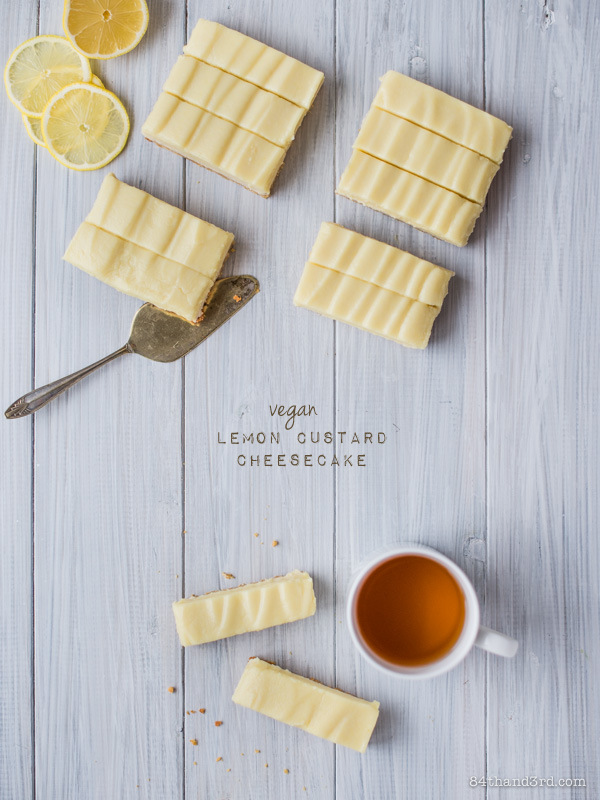 But I LOVE chai, so maybe I’ll just go ahead, bite the bullet and make these right now/when I find the time. I totally understand the feeling of to-do’s pushing everything else out of your head. I always imagine that the creative room in my mind is manned by an old man and his super youthful puppy. I love spiced up cookies and these are unique. I love the makeover! These are everything I love in a biscuit. And the chai spices are just the icing on the cake (so to speak 🙂 ). Thanks for the inspiration. These look amazing! Wonder if I could use stevia for sweetener and make them even healthier?